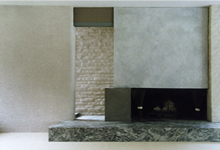 These are examples of a concrete effect on two separate fireplaces in a foothill area home. These pieces were done with a Los Angeles painting compny. 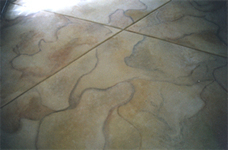 These photos show the sequence of steps to the final abstract design on a concrete floor. 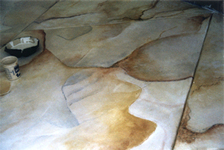 This piece was done with a Los Angeles painting compny.